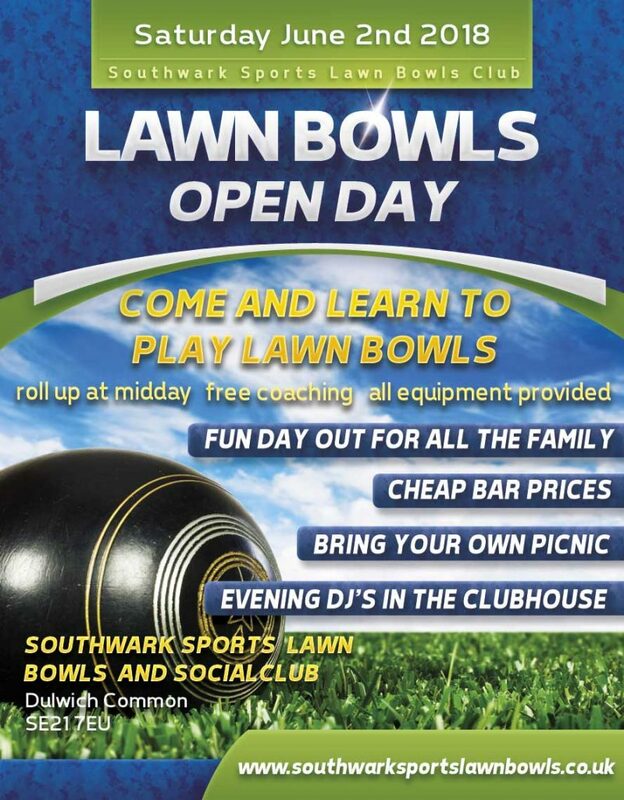 The lawn bowls open day at Southwark Sports lawn bowls club has been announced for 2nd June 2018. The open day is an annual event where the club invites newcomers to come meet members of the club and try their hand at playing lawn bowls. All are welcome to come along and join in. Bring the family with you. Bring your own picnic. We will have an outdoor bar with very reasonable bar prices. We will be setting up an outdoor PA to keep you entertained while you are playing. You also will get to meet members of the club who will take you out on the green to give you all the coaching need to make you a star player. All equipment is provided – just remember to wear flat shoes. Our bowling green does not take kindly to stilettos.